The Sudharshana Chakra (wheel or discus) is a supremely powerful divine weapon carried by Archetype Vishnu, the preserver and sustainer of the Universe. The Sanskrit word ‘Sudharshana’, means ‘vision, devoid of illusion’, and the Sudarshana Chakra is known for its auspiciousness and ability to destroy negative energies. The Sudharshana Homa is performed to invoke the energy of this weapon of Vishnu, a solid shield of righteousness and the grave enemy of negative forces, for your growth, success and protection. The Maha Sudharshana Homa, the Grand Divine Weapon Fire Lab, calls upon the power of Sudharshana, the supreme transcendental weapon in the hands of the supreme archetype of wealth. It is believed that the Sudharshana homa protects one from negative forces and counteracts curses and spells from all directions. The primary purpose of performing the Sudharshana homa is to bestow positivity, success, happiness and to remove pain and suffering in your life. Participating in this homa can also remove planetary afflictions and absolve sins committed in this lifetime. 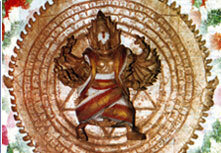 Chakrathazhwar, the personification of Sudarshana Chakra, is used by Vishnu to establish dharma. A mythological story in ancient texts describes an event when Vishnu, the preserver archetype, used his Sudharshana Chakra to chop off the head of the demon Swarbhanu, who drank the amrita (nectar of immortality) while in disguise. As a result of drinking the amrita, the chopped-off head came into existence as Rahu and the demon’s headless body came to be known as Ketu. As mentioned in sacred text, Maha Sudarshana homa can remove fear, danger, illusions, bad dreams, hallucinations and all other negative energies, thus healing both body and mind. It can also aid in the successful accomplishment of any projects or goals, as well as overall growth, success and prosperity. We specially invite you to attend this Special Homa in-person with your family, friends and relatives. 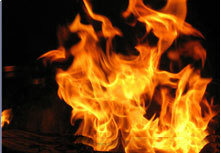 Please send an e-mail to sales@astroved.com to attend the Grand Homa at Bangalore. Participate in this rare grand 6-Priest Maha Sudharshana Homa (Fire Lab for Vishnu’s Supreme Weapon) to invoke Vishnu’s supreme weapon to destroy negativity and ensure your success and protection. Along with the grand homa, special Archana (light and sound ritual) to Chakrathazhwar (personification of Sudharshana Chakra) at his Powerspot will be performed on your behalf. You also receive blessings from the preserver archetype, Vishnu through the chanting of Vishnu Sahasranama (1008 names of Vishnu) and Purusha Sukta (Cosmic Being). 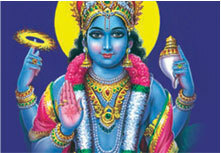 You can find the Apathudharana Stotram (Vishnu Hymn of Praise) download in your order log. 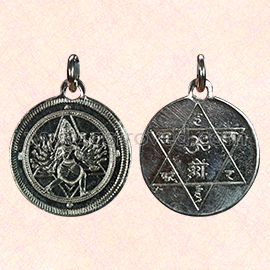 You will receive the copper pendant along with sacred grey ash powder from the homa and kum-kum (Red Vermillion Powder), which will be blessed in the rituals. Keep this on your meditation altar and wear it on your forehead during meditation or at other times to expand the Divine blessings into your life. Please Note: Your energized pendant and prasad will be shipped from Chennai, Tamil Nadu. Please allow 2 – 4 weeks for delivery after the entire set of rituals is performed.